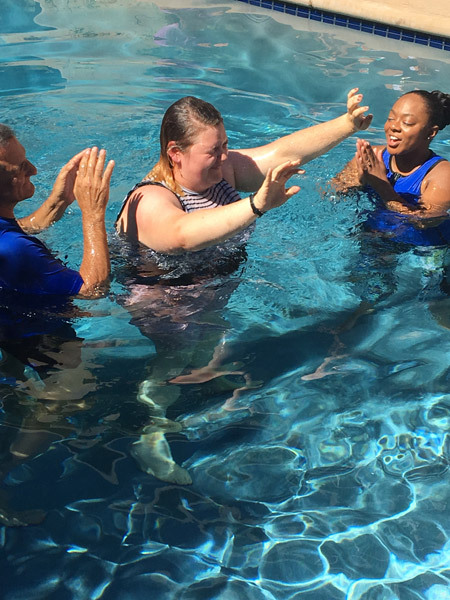 On Tuesday, July 11th, thirteen Mercy Multiplied residents declared their commitment to Christ and were baptized in Sacramento, California. 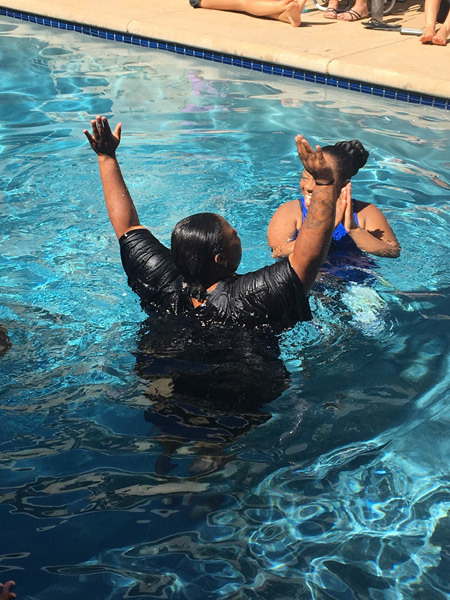 Pastor Francis Anfuso from Rock of Roseville Church and Mercy’s Sacramento Program Director, Fredrica Singletary, baptized the residents. The residents were baptized in the pool of Mercy Multiplied supporter and volunteer, Donna Guardino. Pastor Anfuso prayed over and affirmed each resident before they were baptized. “It was truly an amazing celebration!” said Singletary. As the Mercy residents were baptized, the other residents encouraged them. Mercy is grateful for Pastor Francis Anfuso, for pouring into our residents, and for Donna Guardino, for her commitment to serving. If you are interested in supporting Mercy, please click here.